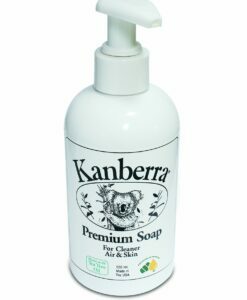 Kanberra Wipes feature an all-natural, proprietary blend of Tea-Tree Oils and other essential oils with the convenience of a wipe. 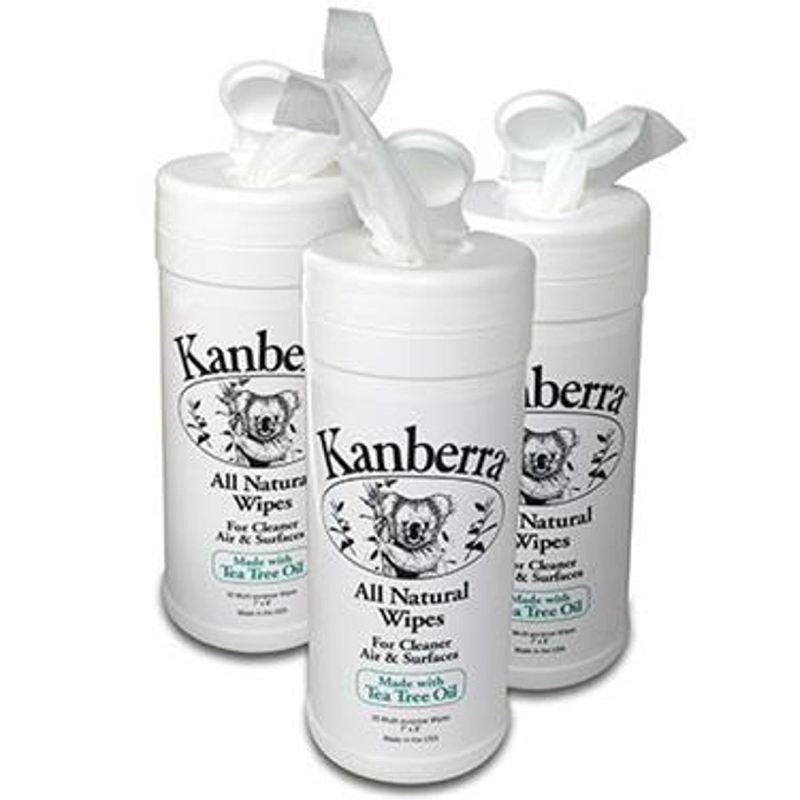 Infused with natural antiseptic and anti-fungal properties of pharmaceutical-grade Tea Tree Oil, the Kanberra Wipes begin neutralizing and eliminating associated odors and problems on contact. 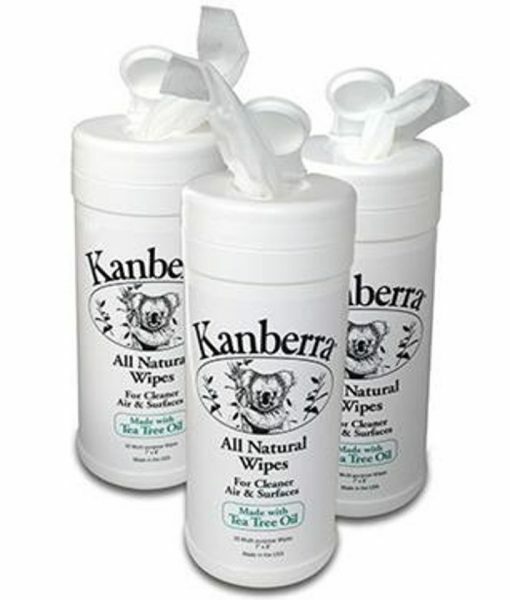 The Kanberra Wipes naturally eliminates odors without the use of chemicals and is safe for use around children and pets. 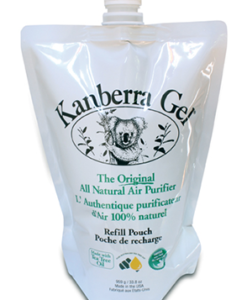 Kanberra Wipes are unlike any product on the market for attacking mold and fungi on surfaces. 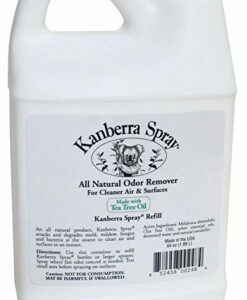 Kanberra Wipes do not mask the odor. They neutralize it. There is no fragrance, masking or perfume. 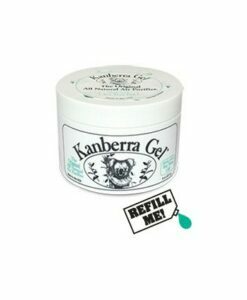 Can help alleviate symptoms of allergies, asthma, respiratory illness and other ailments. 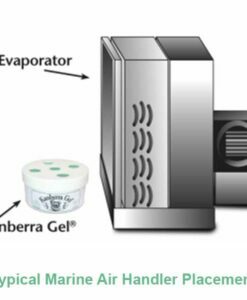 A natural solution to address odors, mold and mildew in almost any location – from boating applications to wash rooms! No scent masking! 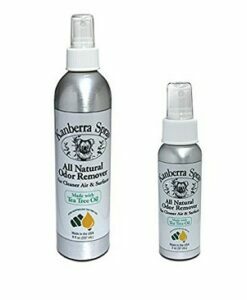 Neutralizes odors at the source. Flat bottom for easy storage. Safe for use around children and pets.